American Blues News - "Dedicated to the promotion and celebration of the Blues." 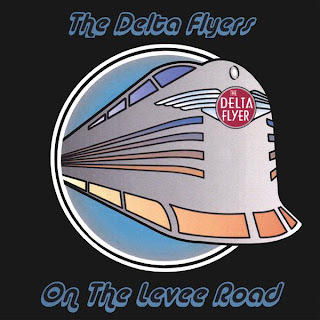 The Delta Flyers is a Houston-based blues duo creating new and exciting music that stays true to their Mississippi Delta roots, while managing to seamlessly incorporate flavors from Chicago all the way down to New Orleans. Their 2007 album, ON THE LEVEE ROAD, showcases the talents of front-man Stevie DuPree and guitarist Jack Saunders. With this studio effort, the duo is not striving to take the blues to a new level or reinvent the wheel, but they do deliver a fun and authentic collection of originals; that jumps back and forth from upbeat acoustic/folk bounce to down and dirty electric roadhouse “raunch”…and I mean that in a good way. DuPree’s vocals are clean and passionate and though his harmonica playing is not as flashy or upfront as many blues fans may prefer, it shows a refreshing amount of restraint and seems at home with the material presented. The same can be said about Saunders, whose playing also demonstrates a “less is more” attitude. His guitar-work is tasteful and low key; and his talents are best represented on the tracks where he is playing slide (like on "Dancin’ With The Devil" and "Aidie Jean"). It should also be noted that Rich DelGrosso’s mandolin adds a wonderful flavor to 3 of the album’s 10 tracks. ON THE LEVEE ROAD is recommended for fans of “roots” music and acoustic/folk blues. The amount of flash and electric guitar shredding is practically non-existent here. So if you’re looking for the next heir to Stevie Ray Vaughan’s style of Texas blues-rock, this album may not be for you. For our Memphis readers and everyone else that is lucky enough to be attending this week’s International Blues Challenge, make sure you keep an eye (and ear) out for The Delta Flyers featuring Stevie DuPree and his current guitar playing sidekick Travis Stephenson. They made their IBC debut in 2008 and have been a staple of the famous Memphis blues event ever since. So head on down to Beale Street and check ‘em out! Thanks and keep reading American Blues News!!! Nighthawk is our resident globetrotter and man behind the scenes, as he tours with the Reba Russell Band. Blake is the American Blues News review and interview guru. You may catch him out and about in NY playing the blues. Monica is our executive director and artist interview specialist. You can catch Monica singing the blues around Pittsburgh or working on some country music songs in Nashville. Geraldo offers inteviews and reviews. You may have seen him at an Ana Popovic concert or conversed with him on her websites, as he offers administrative support with her music. Nelson offers a Friday column of blues photography and pictorial support for the interviews covered by the team. Jim will be focusing on the Blues Festivals in the beautiful state of Colorado, and the artists that live and visit there. Maureen Elizabeth, our resident art correspondent, will be focusing on blues art as she explores the creation of CD covers, or speaking with artists who also have a love of creating pictorial art in addition to their music! She may also feature some of her good friends in the Pittsburgh area. In her love of art, you may find Maureen's photography accompanying writer's articles on our pages. Maureen is also our marketing director. Pittsburgh correspondent and photographer, CR Bennett, will share the Pittsburgh scene with all of you. You may also see CR's pictures accompanying other writer's articles. We head to the big state of Texas! Abby Owen, our Texas correspondent. Another big area to cover, the West Coast with Casey Reagan, Casey will feature many artists and events on this ocean's shores. And of course, we will surprise you sometimes! Join and be a fan! American Blues News - "Dedicated to the promotion and celebration of the Blues." Design by topwpthemes. Converted To Blogger Template By Anshul And Ritesh .